Icecream is part of Italy’s culture and is therefore an important factor of your trip to Italy. While I used to be the girl that always chose chocolate icecream, I found my new all-time favorite! And I believe no other icecream can ever beat it! So many flavours, so many choices… Luckily, you’ll never find yourself the only one in need of icecream. For once, standing in line is a good thing (especially since I’m the worst when it comes to deciding)! 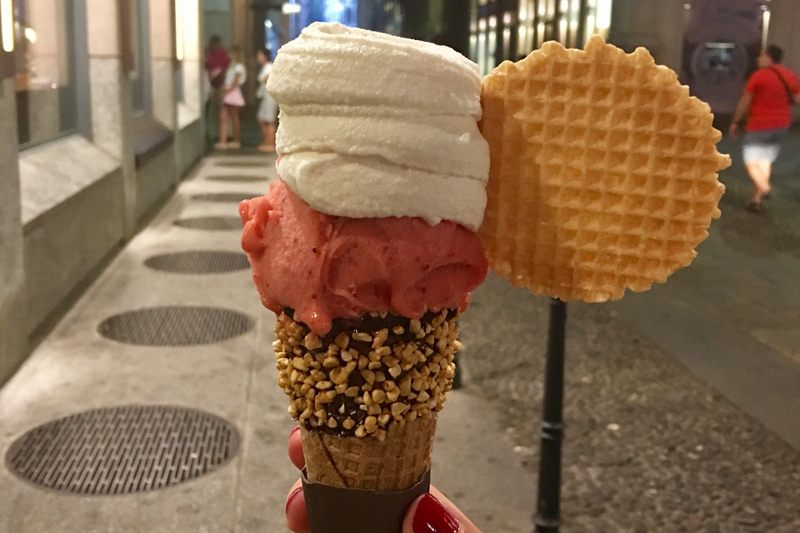 On my first evening in Italy, I chose to top my icecream with Fior di Latte (literally translated as flower of milk, but when it comes to gelato, referred to as milk cream). While it seems a very simple flavor, it is icecream in its purest form. Fresh whole milk, loads of fresh cream and sugar: a simple recipe for an absolute favorite! The structure of this icecream is thick, dense and creamy; making it very different from other kinds of icecream. The Italians are famous for their icecream for a reason: there’s nothing like Italian gelato. But that’s not all! They also treat their icecream as a piece of art. As I already told you in my last blogpost, they build an entire tower block of icecream on top of a small cone. Yet, what makes their gelato stand out is that they nearly whip the icecream for the last scoop (aka the finishing touch), so they can circle it on top of your icecream. These artisan gelato makers definitely have passion for icecream! You can get icecream at many places (I mean, we’re talking about Italy!). 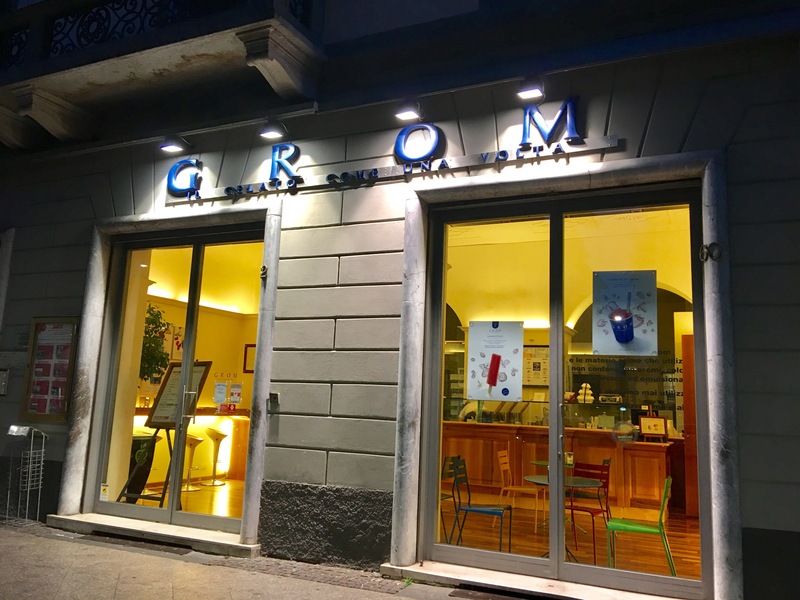 Yet, one of the best gelato is available at Grom: “Il gelato come una volta”. In other words, the icecream like it used to be made. With stores all over Italy (and outside), you’ll always be near one of them. And, of high importance, their Fior di Latte is delicious! What’s your favorite icecream? Did you ever taste Fior di Latte? A traveller, marketeer and blogger who loves exploring the world, soaking up sun and making friends along the way. What to expect in Cape Town? Miles of Discovery © 2019 | Bard Theme by WP Royal.